10 February 2019 (Wall Street International)* — I have recently returned from Costa Rica during the period that was supposed to be winter in the Northern Hemisphere. As followers of this column know, I spend half of every year in Costa Rica, where I teach and write. This year’s visit went as usual and I was able to accomplish several writing projects. 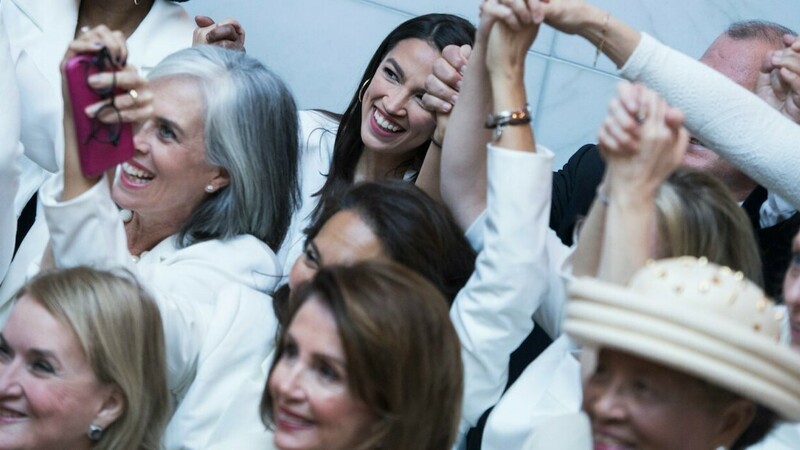 Democratic members of Congress wear white for U.S. President Donald Trump’s address to a joint session | Photo from Wall Street International. 6 February 2019 (UN Women)* — Pauline Tallen began her political career as one of the first female councillors in her community, in north-central part of Nigeria, mobilizing women to form Councils of Women Societies in local government in the 1980s. In 1999, she was appointed Minister for Science and Technology—the first woman appointed in that capacity—and in 2007 she was nominated Deputy Governor of Plateau—also the first woman to hold that position. Recent studies suggest that 65 per cent of children entering primary school today will have jobs that do not yet exist. MINUJUSTH/Leonora Baumann | An aerial view of Haiti’s capital Port-au-Prince.